Figure 1. Excel VAR.S Function. Let’s say we have a data set – which represents a whole population – and we want to determine its variance, we must use the Excel VAR.S Function. number 1 is the first reference or number. number 2 is the second reference or number (optional). Our sample data variance can be determined by the VAR.S Function. 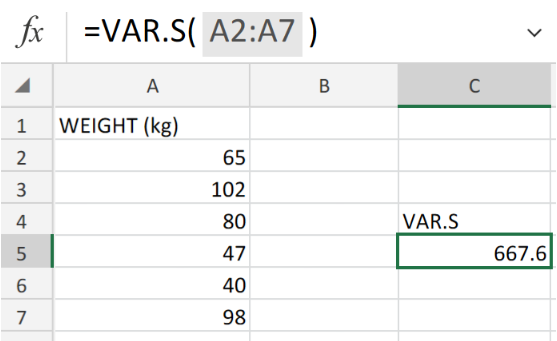 How to use the Excel VAR.S Function. Variance can provide us with an idea of the data spread across the entire population. 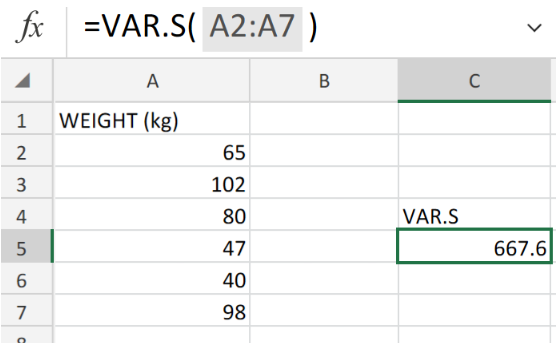 We are now going to make use of the Excel VAR.S Function to determine the variance of our data sample. Arrange the data set in a column in our worksheet. Figure 2. Excel VAR.S Function. 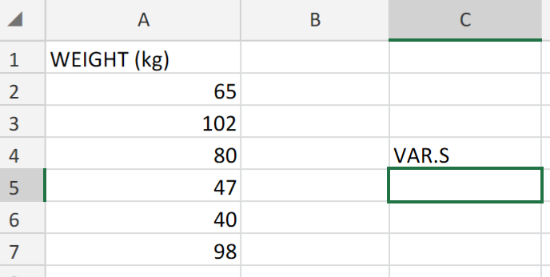 Notice how we provided an empty cell for Excel to return the variance value. Figure 3. Excel VAR.S Function. The calculated variance of the individual weight of the sample group, as shown in cell C5, is 667.6. 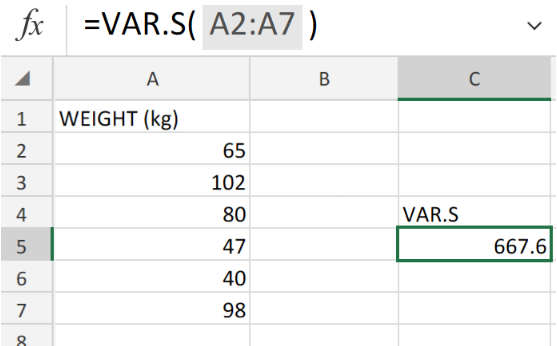 The Excel VAR.S function can accept up to 254 arguments/numbers.